With the possible exception of the general practitioner, no business speaks to the heart and health of a community more than the humble local pub. It was my pleasure to recently interview an individual – nay representative of a lineage – that embodies the community spirit that has come to provide this stalwart identity to the pub industry. No less than three generations of highly recognised hoteliers are contributors to a business that continues to champion the legacy: the Harbord ‘Hilton’ Beach Hotel. While RSLs and other Club entities boast their strong community focus and their (legally mandated) support of local sporting groups and the like, one of the Northern Beaches most revered areas is home to a pub that goes above and beyond like no other I have encountered. 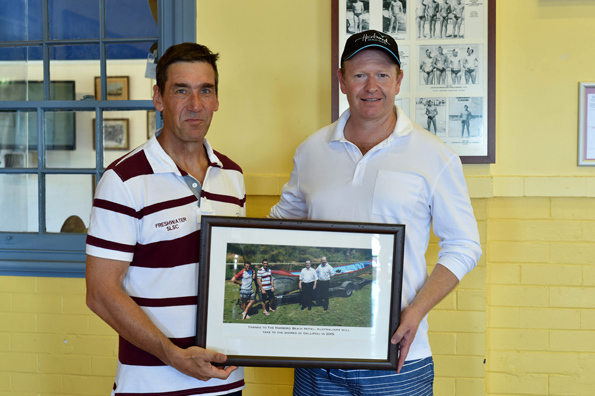 The metaphoric and literal home of former AHA President John Thorpe, the HBH does not sponsor a local sporting club – it seems to underpin all of them. At least two surf clubs, soccer and rugby sporting operations all benefit from the Hilton’s interaction, as well as local legend children’s charity, Stuart House. Thorpe was awarded an AM for his service to hospitality and the community, and these days performs only occasional duties for the AHA. His father, Thornleigh Thorpe, was the first hotelier awarded an OBE, by the Queen herself – for his service to hospitality. These sponsorships aren’t passing promotional efforts … several are into their third decade of funding. The Hotel’s social golf club runs fund-raising events specifically to raise money for Stuart House. Every second Thursday they host local bands, giving up-and-comers in an area that used to be synonymous with pub bands a chance for a start. Successful acts go on to get contracts with the Hotel’s agency and play weekends. Perhaps the jewel in the impressive crown of achievements is the Hotel’s funding of the Freshwater Surf Life Saving Club’s honorary trip to the upcoming Anzac day Centenary re-enactment that will see this and other selected surf clubs land rescue boats on the beaches of Gallipoli. Both the Premier and Prime Minister are locals and occasional guests. Baird recently participated in an awards ceremony – the Hotel giving away another $43,000 – and the PM recently granted money for a memorial for fallen soldiers emanating from the area, immediately north of Manly. While the ‘business’ of pubs has become ever more sophisticated and associated with changing technology and tastes, there is a lot to be said for a back-to-basics approach that takes the less easy path of creating a business that the area simply cannot do without. Especially in this flurry of big-hitting operators taking over big-money operations on the Northern Beaches, anyone heading North of Sydney’s Harbour Bridge should do themselves a favour and check into the Harbord Hilton.